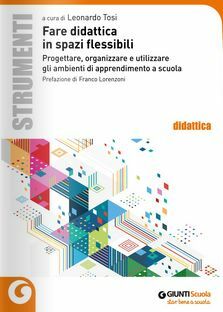 The book “Teaching in flexible spaces. Designing, organising and using school learning environments” (Giunti, 2018) provides interesting food for thoughts on the relationship between pedagogy and architecture and proposes solutions and concreate examples to reorganise school environments without structural interventions and relying on the resources available. «Together with the Indire research group we asked ourselves a series of questions on the theme of physical learning spaces and on the characteristics these should have to address the needs of a now radically changed society, where students are very different from those of just a few years ago» curator of the book, Leonardo Tosi, told us. «building on the reflections of the latest years we created tools and proposals inviting to rethink school environments and indicating the way towards well-being at school with a view to overcoming the traditional organisation of the learning environment with desks, classrooms and corridors and defining new models involving the entire school community and the surrounding territory». The book offers a useful set of tools to transform the classroom in an extended and flexible learning environment in order to meet the increasing need of students, teachers and families to count on an environment that accompanies and supports the educational actions. A welcoming environment where didactical pathways that capitalise on the potentials offered by all the other school environments, including unused spaces and those only apparently “useless”. 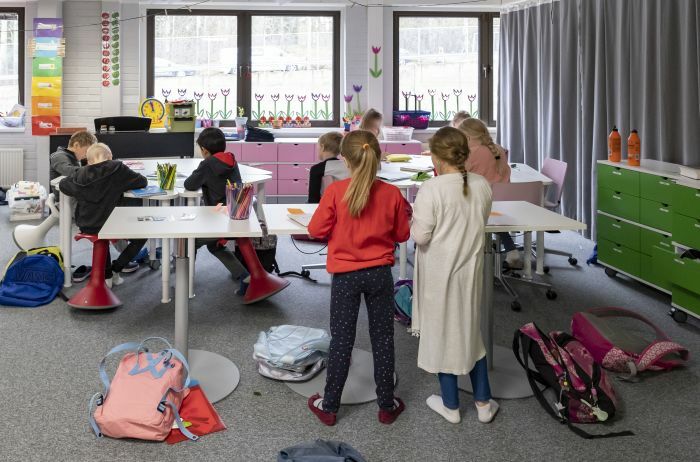 As the researcher Samuele Borri pointed out in his contribution, the starting point is the Manifesto 1+4 Educational spaces for the school of the third millennium, presented at Indire in 2016. The document presents an idea of school reaching beyond the didactic dimension to encompass the social context and the capacity of the environment to impact the quality of the social relationships. However, the study perspective the book proposes is also another: starting directly from the schools with 10 Learning stories told by as many teachers who wanted to consider the physical environment as a strategic asset for the quality of school, life and learning. Do you want to know more about Indire research on this theme?